—Your Eminence, what sense is there in venerating the relics of saints? In your own Severomorsk diocese, people are talking joyfully about the recent discovery there of a reliquary case with the relics of many New Martyrs and Confessors of Russia. Why did they bring the relics? What spiritual conclusions can we draw from their presence here? What are the fruits? —The fruits? Just the fact that they have arrived here is the fruit revealed and granted to us. After all, we have been praying throughout these days to the whole host of New Martyrs, our holy compatriots. Understandably this process of entering into communion with them must not be transitory; we are talking about becoming spiritually ripe for such communion. There is a certain process of entering into communion with those who are now in the Kingdom of Heaven and stand before the Throne of God, and who are our intercessors before the Lord. There is no doubt that they intercede for us, as by the way, do the millions of others who perished during the terrible history of the twentieth century. Nevertheless, those who are now already canonized by the Church are especially honored. These God-pleasers pray for us, and that is the meaning of our veneration of the saints’ relics—I emphasize that we must have a conscious veneration united with prayer, and not simply (forgive me for saying so) “dutiful application”. —Sometimes we are taken aback by the prefix “New”. It would seem that saints are saints throughout all times, and now we have something new. How should we relate to this “something new”? —As to a great joy, an eternally new and fresh Christian happiness. I will explain. Of course this has its own specific character. The podvig of the New Martyrs was carried out very recently, and these saints are essentially our own contemporaries. Our association with them, our reception of their lives, their service to the Church is not the same as for those saints of deep antiquity, the martyrs of the first centuries, like St. George the Trophy-Bearer, St. Panteliemon, St. Demitrios of Thessalonica, and other great pleasers of God. There are already many magnificent churches built in their names, beautiful icons of them have been painted, and full services have been written to them. There are millennia of traditions connected with our veneration of them. We are now at the very beginning of a very important path of discovery of this spiritual treasure, which has a unique power. And it must be said that the hierarchy of our Church continually reminds us that we need to pay particular attention to the task of achieving a meaningful veneration of the New Martyrs. It is a very good thing to name our infants in honor of the New Martyrs. It goes without saying that St. Nicholas the Wonderworker of Myra and Lycia can definitely “cope” with his duties as the heavenly patron of all those millions of Nicholases who received his name at their baptisms. But just the same, why not honor the podvig of a saint of recent times by naming a child in his or her honor? I think that this request for Christian patronage over our child will become a great joy for both the saint and the child. Of course, that saint will extend every effort to take care of this perhaps first ward of his, whose parents appreciated his labors. 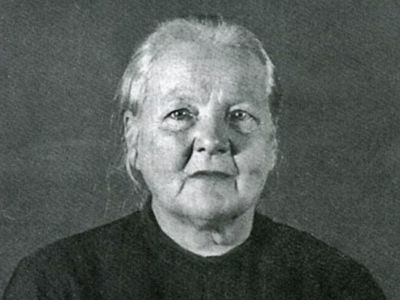 For example, we have glorified the New Martyr blessed eldress Eudocia and her cell attendants Daria, Daria, and Maria of Puzo from the village of Suvorovo near Arzamas, Nizhny Novgorod diocese, who were executed in 1919. At the unearthing of their relics, in which I had the honor to participate, there was an amazing occurrence. This was in June of 2002. An iconographer, Evgeny, who took part in the painting of an icon of these New Martyrs, was taking his expectant wife to the maternity ward. At that time the ultrasound that we all put so much stock in showed that they would have a boy, and they had already chosen the name Ivan. I and Fr. 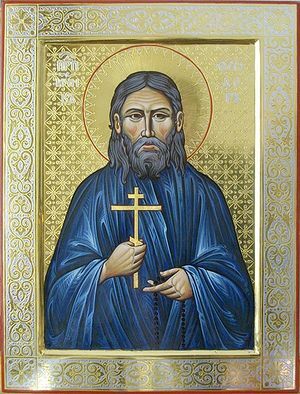 Vasily, who was then the rector of the church in Suvorova, set out the relics, vested them—and Evgeny’s wife was delivering her child at that very moment. We were vesting the relics and she was giving birth, and Evgeny was present at the delivery. The doctor received the child and showing them said, “Here you are, a girl. What will you call her?” They were totally perplexed—how could it be a girl when the ultrasound said it was a boy?” But then they said in unison, “Eudocia!” although there was no one in their family with that name. Later when they told the name to the child’s grandparents the latter were taken aback. “Have you lost your mind? What Eudocia? First of all they’ll tease her with the nickname Doonka, and besides, we don’t have anyone with that name in our family history! 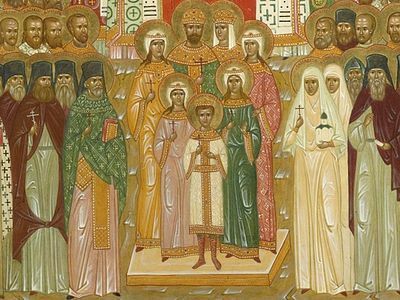 Who is the patron saint?” Meanwhile Evgeny and his wife were also asking each other, “Why did you say it?... And why did you say it?... I don’t know… And I don’t know… Why did we say it together?” They said it because our saints are right next to us. Glorified by the Lord, they are watching our lives, seeing into our hearts and waiting, as if to ask, “Well? After whom are you going to name the little girl? Naturally they baptized the newborn girl in honor of Blessed Eudocia-Dunechka, our wonderful new martyr of the Russian Church. And the girl will grow up to be beautiful and smart. She has already grown to be a big girl. So the New Martyrs are right next to us, and we have to remember this. And that they are family to us adds even greater assurance that they will be our most zealous protectors and won’t let anyone harm us. If only we would be worthy of them and honor them fittingly. As for your question about the sense in venerating the saints’ relics, I will say that by travelling around our diocese with this reliquary containing such a large number of relics of the New Martyrs we enable a constant, close communion that we so greatly need between the Earthly Church—the Church Militant—and the Heavenly Church, already triumphant. 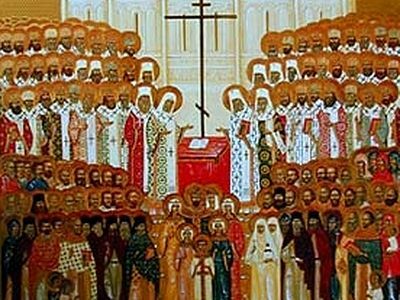 —The large-scale process now going on of canonizing the twentieth century Russian martyrs is unprecedented in Church history. Is this work always easy? In your view, what makes this work difficult? —At one time in the Murmansk diocese I headed a commission for the canonization of saints and worked in our NKVD archives, which were miraculously opened at the time (now to our great regret, it is once again hard to gain access to the archives). The approach to sifting out those sufferers who could be glorified among the saints was very strict, and the main emphasis was placed upon information that could be drawn from the protocols of the interrogations. The Synodal Commission’s approach was perfectly explainable: There was a certain parallel drawn between the NKVD protocols and the protocols from the martyrs’ trials in Roman times, the so-called Acta Martyrum. In these ancient documents that have come down to our day there are detailed facts fixed that describe the martyrs’ confession of their faith—the accuser’s questions, the accused’s answers, and then the methods applied to frighten him, to make him deny his faith and then make sacrifices to the “state” gods of Rome. One was to be tortured with fire, another with iron claws, then any additional instructions, etc. These acta were a fully reliable basis for the canonization of the many martyrs of the first centuries of Christianity and were written down in their Lives. Such a document proves that the person who endured torture did not renounce his faith. Therefore our Synodal Commission took the same route, but with us there is nevertheless a difference. You see, the task at hand for the Roman prosecutors and judges who conducted these interrogations was to induce a renunciation of Christ and acceptance of the state religious concept. The citizen was to be brought into submission, made to worship the pagan gods that Rome worshipped—those gods who in the state’s view were responsible for the empire’s great power and achievements. If they were to change their faith, the pagan state would fall apart, because it was founded on this religion. And the Christians were destroying the traditions, which meant that they had to be forced into obedience and made to reject their “errors”. Thus there was a concrete task at hand. 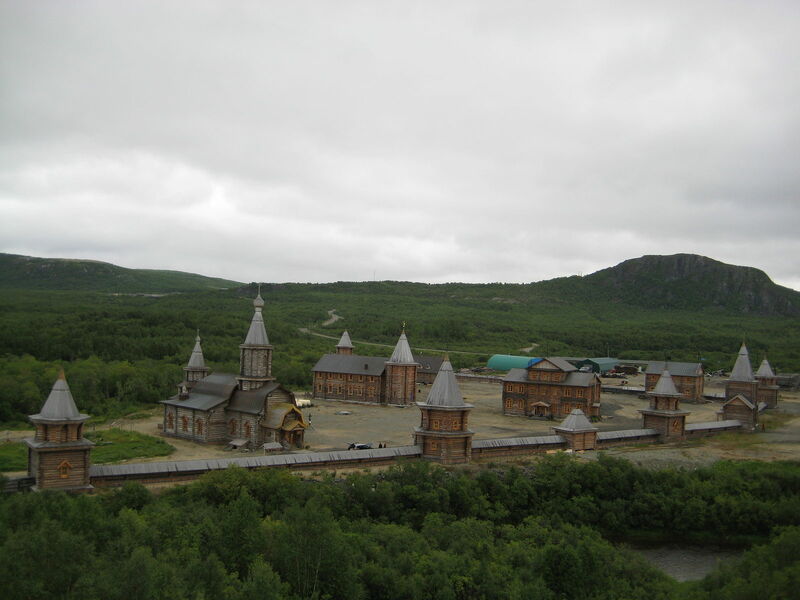 The St. Triphon of Pechenga Monastery in the village of Luostari, Murmansk province. Photo: skyscrapercity.com. —Was it any different for the New Martyrs? —It was. After all, no one said to them, “Renounce Christ.” They said it differently: “You are conducting propaganda that incorrectly construes Stalin’s Constitution,” or, “You are conducting illegal meetings, which you call “Sunday school,” or something else of that nature. “What are you doing at those meetings, who attends them, what are their surnames, names, and patronymics?” In these protocols there isn’t that very important moment of, “renounce your faith”. That demand was never stated under any circumstances, because the soviet government in those days was declaring to the whole world that we have total freedom of conscience. This was especially important for contact abroad. If some fact of official persecution precisely against the Church were to be made known, those contacts would cease and there would be no more supply of factories, specialists, equipment, machine tools, and everything else that our country purchased abroad in order to fulfill its plan for industrialization. Lenin himself hated Patriarch Tikhon with a vengeance, and this can be seen in all his speeches. He couldn’t stand the patriarchy in general, and he was raging with fury over it. He wanted very badly to have the chosen Holy Hierarch shot. His aim was to organize a show trial and then have him executed. Everything was prepared for this: a provocation was planned for the confiscation of Church valuables. It was calculated that the Church would react with dissatisfaction. They expected the Patriarch to call upon the faithful to defend Church property from the godless authorities. There were even newspaper articles prepared ahead of time in which the Patriarch was called none other than “Tikhon the Cannibal”. The meaning behind these accusatory articles was basically this: “Ah, so you have no pity on our poor trans-Volga peasants, who are eating each other and dying by the thousands every day. Aha, that’s how your Church is.” And then came a total fiasco. The Patriarch announced, “We consent”. He said that of course we’ll help the starving people and give up our church decorations and so forth. What do we need all those gold and diamonds for when there is a terrible famine going on? When people were wealthy they adorned the churches, donated those things, and now we have a catastrophe. Of course we have to feed people. Lenin was beside himself. He demanded that this announcement be ignored, gave orders to come anyway as if they were refusing to cooperate—to break in, and tear frames from icons; that is, to provoke and start a conflict with the Church, to never under any pretext allow any voluntary donations, because that was not what he was after. Some suggested that the arrest and sentencing of Patriarch Tikhon did not happen only thanks to protests from England written in the “Curzon Ultimatum” [the ultimatum sent by George Nathaniel Curzon, 1st Marquess Curzon of Kedleston, a conservative British statesman.—Trans.] So the soviet government was forced to mask its direct persecutions against the Church and hypocritically arrest the faithful according to other articles of the Criminal Code of the Russian Soviet Federative Socialist Republic. This is why such an approach to canonization is very complicated. I repeat: no official renunciation of faith was demanded. I submitted for canonization the name of our priest Gregory Lisienkov from Umba, who was arrested in autumn of 1937 and executed exactly one month later. The interrogations went basically like this: “It is known to us that you conduct meetings with parishioners, that you said this, and that…” “Yes, I said that; well, I don’t know, it seems to me that I spoke correctly and did make any statements against the authorities…” “Alright, then sign here that you said that…” The priest signed the protocol, did not renounce his faith, and did not incriminate anyone. But the commission for canonization said, “But he signed the protocol, and he shouldn’t have. He should have said, “No, I won’t sign it.” However this makes for a rather confusing situation—the Church is law-abiding, it observes the laws of the state, it does not enter into conflicts or political opposition. After all, there was no renunciation of the faith in this case. On the one hand, canonization is a sacred, mystical thing, but on the other hand, we are forced to rely on the NKVD protocols. Here we have some ambiguity. By what powers are we canonizing—by Divine or human powers? According to our hearts, our faith, the spirit? —How complicated it all is! —To say the least. Let’s say that the Russian Church Abroad canonized all the Romanovs, all the princes who were executed in the Peter and Paul Fortress [in Petrograd], in Alapaevsk [Siberia] and other places. They were shot simply because they were princes or servants of the Royal Family. They didn’t do anything in particular, never harmed anyone, and never fought against the rebelling people. But they were the bearers of the spirituality of the former nation, the old world. And this old world is the world of Orthodox Rus’. Therefore the Church Abroad canonized them simply for the fact of their martyric deaths from the godless authorities. Now we are returning to the order of business of how we are to treat this canonization. 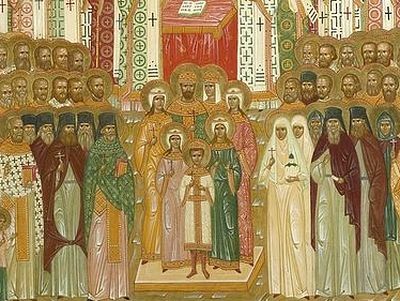 We reunited with the Church Abroad, and that means that we have to make a decision as to whether or not we will include the New Martyrs canonized by that part of our Russian Church in the general calendar of saints of the Russian Church. 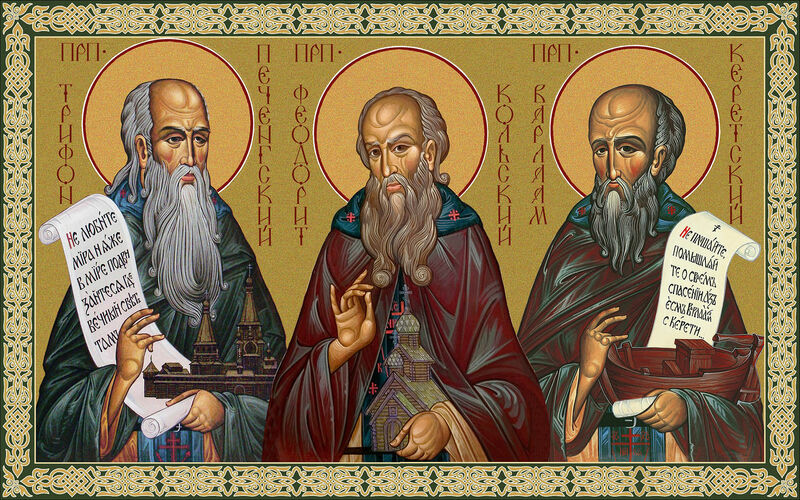 —Amongst the Kola saints are two canonized New Martyrs. 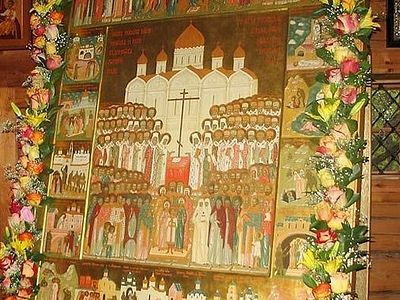 What constitutes the difficulty in canonizing the New Martyrs of namely the Kola region? —In the northern, Kola region, there were only two saints canonized, although there were nine people proposed for canonization. We of course were disappointed by this decision. 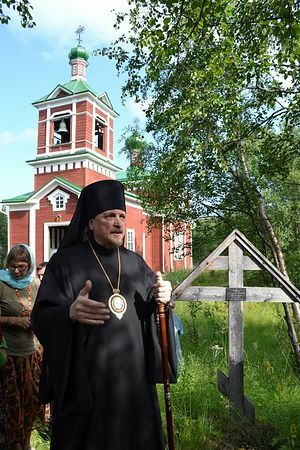 We were especially grieved about the last abbot of the St. Tryphon of Pechenga Monastery, Hieromonk Paisiy (Ryabov). There was clear evidence of martyrdom. Fr. Paisiy suffered terrible tortures at the interrogations, which lasted a whole year. Many interrogations went on all night, with two interrogators. 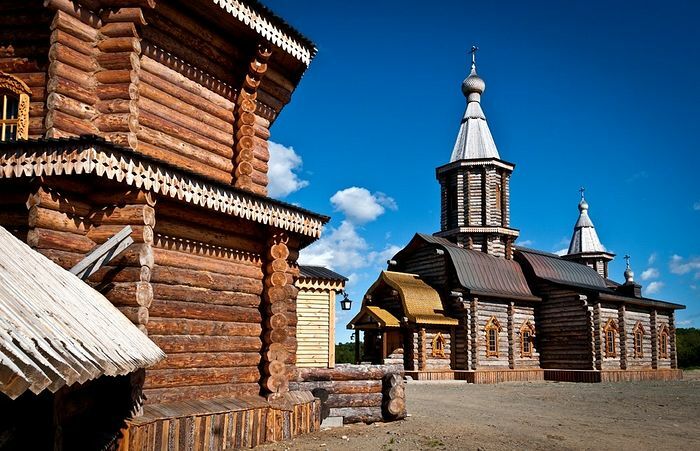 The “organs” were given a task of extraordinary importance—to beat out evidence and secure a confession that the Pechenga Monastery was an espionage and sabotage base working against the USSR. This was required in order to justify in the eyes of the world community the attack on Finland in the northern Kola region near Petsamo (Pechenga) in winter 1939–40. Fr. Paisiy never did confess to anything and did not sign the needed protocols, and he was executed in Moscow after a year of uninterrupted interrogations under torture. Nevertheless, we were refused his canonization with the formula, “He made too many political statements in the interrogations.” But excuse me, if that person—a Finnish citizen by the way—says, “I do not like the soviet regime, I like the Tsarist regime, and I love old Russia and do not accept these new conditions of life and ideals offered in Russia,” then this is not compatible with the podvig of martyrdom? Or was he supposed to lie and say, “I love soviet Russia?” No, I was told that he should have remained silent about this and not have gotten into politics. However this assertion seems quite contentious to me. Should Fr. Paisiy have stayed silent, or should he have boldly and straightforwardly confessed his views? Perhaps to the contrary these lines in the protocols are the very proof of his martyrdom and confession of the faith? After all, he knew perfectly well how these bold statements would end for him. That is in fact what happened. 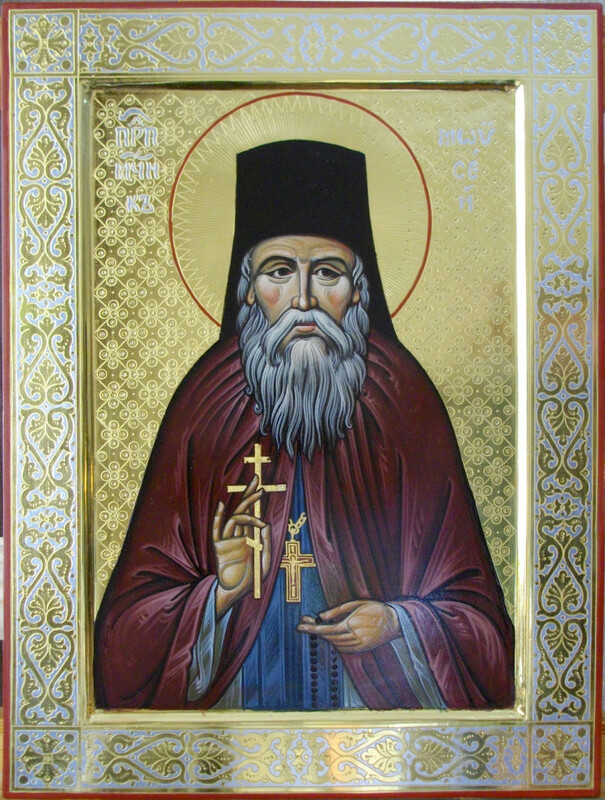 —How does the canonization of Hieromonk Paisiy stand now? Unfortunately, this component was practically ignored in the process of the canonization of the New Martyrs. Apparently it’s simpler that way—to follow the logic given by the investigations, and to completely rely on the protocols of the NKVD. Although it is no secret that many of these protocols were written according to a “blueprint”. It is a big question whether these protocols, or the signatures on them, are really reliable. After all, there are cases where the signatures are either forged or placed there by a person who clearly was not in control his own hand. At one time I even conducted a graphological expertise, and sought the advice of experienced criminologists. They agreed to help and gave their conclusions that in certain cases the person signing the document was in an extremely inadequate psychological state. In other cases there were conclusions that the signatures were forged. I offered to the Commission these graphological conclusions concerning the protocols of interrogations of our sufferers who we wished to glorify among the ranks of saints. But they answered that in such an extremely ecclesiastical and responsible matter we are not able to rely on the conclusions of graphologists. Thus, out of nine candidates we were vouchsafed the canonization of only two. —But this only concerns their glorification here, in our earthly vale—bureaucratic, ossified, and suspicious. —Yes, I think that Christ sees it better. He glorifies without bureaucratic procedures. 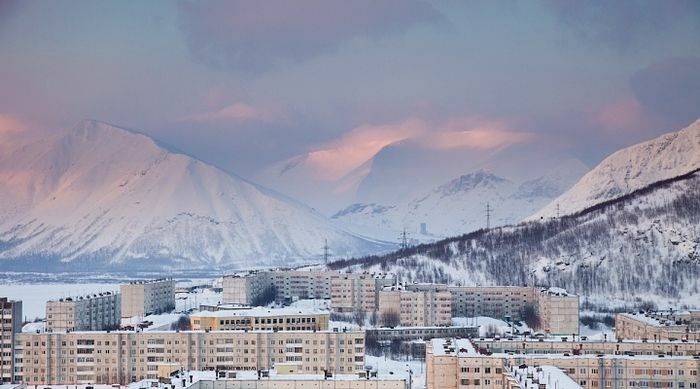 Kirovsk, in the Russian north. —In the museum of the Kirov industrial complex there is an answer to a telegram sent by the construction foreman, written in 1936 in Moscow, about the thousands of freezing people, requesting that warm clothing be sent. The reply was that he had too much concern for the “enemies of the people” and that it would be simpler to send a new party of prisoners than to worry about winter clothing. So all of these “great builders of communism”, all of these industrial complexes and cities were built on human bones. This land is sacred, it is soaked in blood, but the names of these martyrs are unknown, and there is little chance of ever finding their graves. —To what do all those who suffered in the twentieth century call us who are living now? And has the legacy of that era been overcome in our nation? What is needed in order to re-educate and form a new generation of Russian Christians? —And how have we Christians assimilated these instructions of His, in your opinion? —Well, “the sea is vast and there are serpents there without number…” We are sometimes ready to tear apart those who offend us and destroy those who curse us or hurt our feelings in any way. Is this what the Lord teaches? We who are called Christians are walking the same path that the creators of the 1917 events walked. The revolutionary spirit has settled firmly into us and calls us once more to the barricades, but this time from the other side: “For Rus’”, “for the Faith” I’ll rip everyone apart, whoever looked at me the wrong way, didn’t smile the right way, didn’t take off their hats. With our axe in our belt, onward we’ll go and settle this matter using the proven methods, the revolutionary ones; that is, we “proudly fly” like “thunderbirds” [in Russian, burevestnik, a type of bird. The word means, “harbingers of the storm”, and was used in revolutionary terminology.—Trans.] should. And this is the catastrophe: We have not purged that revolutionary infection out of us. Apparently it was about us that Peter A. Stolypin said, “You need great upheavals, but we need a great Russia.” We’re harbingers of woe, and poor excuses for Orthodox Christians. —So what can we offer to people, to society, if we are just the same as they are, even worse? —Nothing, if we are not co-workers with God in our salvation. We cannot change anything around us if we ourselves don’t change—that’s the thing. “Save yourself, and thousands will be saved around you.” First change yourself, and then who knows? Suddenly the notorious film director A. E. Uchitel will change, and having become a believer will start filming not blatant abominations but very needed and beautiful motion pictures. Anything is possible. For example, Mikhail Zadorov was a hedonist and openly pagan, you couldn’t get much worse. And he led thousands of followers into this darkness, but he suddenly repented, and died a Christian in deep repentance, having brought his sins to confession. And we were ready to curse him. —And we did curse him. But it turned out that with God’s help Mikhail Nicholayevich departed to God as a Christian, just like the thief who hung to the right on Golgotha… And who are we after this? —This is not Christian, and we will not be victorious if we play on the territory of the dark powers, the world, which lies in evil, and according to their rules. If we lower ourselves to the level of the world and use its principles in the battle, then we will lose without fail. But we are always being specially drawn into that very place where the prince of darkness rules—where we will lose. We easily lose sight of the true example for our own emulation; we do not hear that tuning fork. We forget that our strength is in something entirely different—not in worldly tactics and secular arguments. We have colossal and invincible strength, for Christ is with us. But He will only be with us if we ourselves turn to Him, if we behave ourselves as He teaches, as He Himself behaves. He will give us unprecedented strength, and we will change everything around us. He cannot force us, for God values our freedom. Don’t you see, He is very tactful and polite. 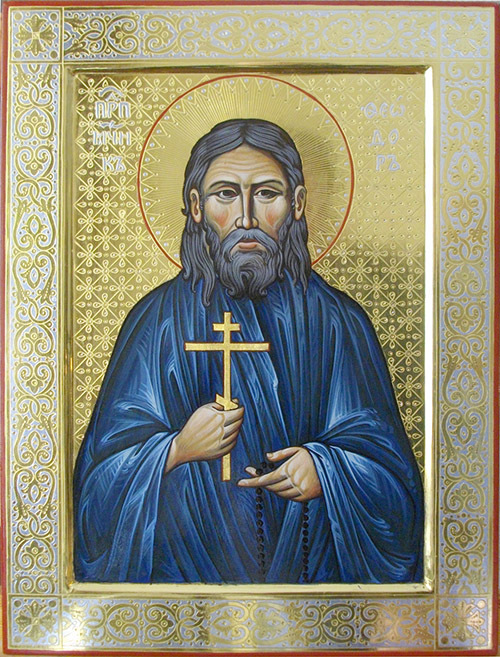 St. Tryphon of Pechenga Monastery. —Unfortunately we are very damaged. Whether it’s the soviet upbringing that’s to blame or just human weakness, I don’t know. —Yes, the twentieth century was dedicated to the inculcation of hatred, and this is not just a figure of speech: We were supposed to experience hatred at all times. This feeling was supposed to live in us—the so-called proletarian hatred for the class enemy, the external enemy, and for the enemy in our midst. The “enemy of the people” was always right nearby. And this continues to live in us, only now as “Orthodox hatred” for everyone who is not with us. But hatred is a terrible, destructive feeling. Demonic power lives in it. And we will definitely lose with it. I remember when I was studying in the military institute. In the evening we all gathered as usual for self-preparation, homework, and so on. We were sitting in the classroom and one of my classmates came in—I won’t say his name—he has already died. He walks into the classroom and looks at everyone and starts making a list of those he hates the most. “Thus, more than everyone else I hate” and a colon… Then the list. This was as if a joke, but at the same time it was no joke. Hatred is a colossal problem, and I don’t know how we’ll conquer it in ourselves now. In the military structure this lives on unpurged—shouting, cursing, those “red commanders” from the working and peasant classes. How can we learn to educate in another way, how can we find completely different stimuli and words, levers and mechanisms? After all, our ancestors lived somehow differently—and they won fantastic victories. I can’t imagine a cursing Admiral Ushakov [now a canonized saint of the Russian Church]. I can’t imagine a Generalissimos Suvorov like that. We well know that they were not like that, and I can’t imagine a single other Russian military commander who could have acted that way. This only become possible with the hatred brought to our people in 1917. Only some sailor Dybenko could act that way, always finding just the right filthy words to explain who’s in charge of the country now. —We’re honestly just tired of this, and it should be changed. —The problem of re-education is enormous. And we who have come to the faith should be the first examples. We should show people another world, for we are not of this world. But we often try to prove that we are the same as everyone else. “Don’t think we’re not just normal guys; let’s have a drink, or something else.” We’ll lose right away like this, and it’s our worse defeat. Because it is a lie. We cannot be like everyone else; we are different. And people are expecting us to not be different. They very much want to see another world, about which everyone secretly dreams. They so want us to show them that it exists, that other world, that this world of light exists; a world of eternity, a world where our Heavenly Father and the myriads of angel are waiting for us all. —This does not only apply to laypeople, correct? —Of course. I am trying to remind our priests of this. You often see that people who are far from the Church may relate to a priest with great respect, with special trust and hope. But sometimes, after getting more closely acquainted with him, they lose that feeling. They become disappointed and see that it was an illusion. Batiushka takes off his ryassa to expose his fashionable running shoes and jeans, and off he goes to drink beer in the bar. And people see that he is a typical deceiver, just dressed up as a priest. And this is a very serious disappointment and shock for many people. It’s not just a matter of running shoes, as you understand, but of such a “priest’s manner and way of thinking, Lord forgive me. And people lose hope. It turns out that there is nothing mysterious, holy and bright, and that the Church is also a lie. It is understandable why this happens. It is very hard living in this world to keep up our guard, to fight against the effect on us of a worldly environment, not letting it penetrate into us. But that is why we have stood on the side of the warriors of light, in order to carry on this daily war. Every believer, and especially priest, has a huge responsibility not to disappoint those who look to us with hope. And there is a complicated task before us: to show the world that there is another life, a life of Eternal Light; that there is the great infinity of eternal life in Christ. To show that this is the greatest goal, and that there is meaning in our life. Life is worth living only for the sake of this great goal; and with it, it is not terrible to die. Until only recently one admiral used to call me regularly; I used to serve under him in my former life [before monasticism]. He at the time held a very high position. When he heard about my new service, he became very interested, asked me all about my new life, and asked me to send him my books. No matter what we talked about, he would without fail ask me one and the same question: “Well, tell me, do you really believe in what you are now serving? Are you absolutely honest? Does all of this really exist?” Naturally every time I would very seriously confirm the sincerity of my faith. I would repeat to him that I would not trade this world that the Lord has revealed to me for anything and would sooner die than renounce Him. I felt that he was very pleased with my answers, and he said that he was very happy for me. However, the next time he would call he would again and again ask me these same questions, because it was very important for him to hear my testimony. Having given his whole life to the navy, the soviet nation and the communist idea, he did not come to know God, did not discover the world of Christian faith; but my testimony to this faith and to this other world unknown to him was enough for him. Thus did he find peace in his soul and meaning in the long life he had lived. He departed not long ago to the Lord, but I think that our discussions have not ceased. I now pray for the repose of his soul and believe that the Lord will impute to him his faithful navy service and not deprive him of His mercy in his new, eternal life. A familiar form of Dunya, short for Eudocia. It has a simpleton-villager sound to it.–Trans. This was during the famine along the Volga River, most likely artificially created by the soviet regime.—Trans. 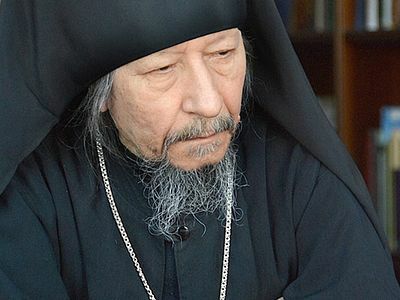 Patriarch Tikhon died later in a hospital under treatment for a curable illness, and many suppose that he was quietly killed at government orders.—Trans. From the words of St. Seraphim of Sarov.—Trans. Vladiko Mitrofan's excellent interview gave me shivers and saddened me to my very core. I am shaking as I consider the horrible deaths the new martyrs endured. We Orthodox believers in the United States venerate Patriarch Tikhon, his work here, his enduring messages that withstand the span of 100-plus years on our continent. But have heard little about the large numbers of believers who would not, nor could not, deny their faith. For me, Vladyka's interview translated a mass of faceless, doomed beings into real people, one by one.